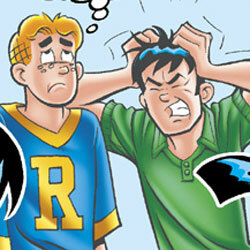 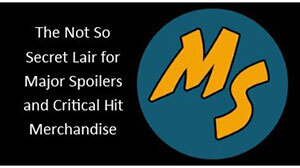 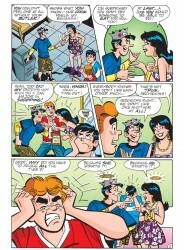 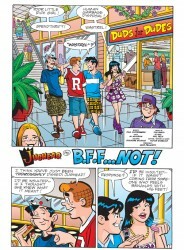 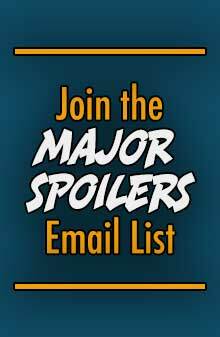 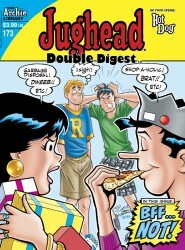 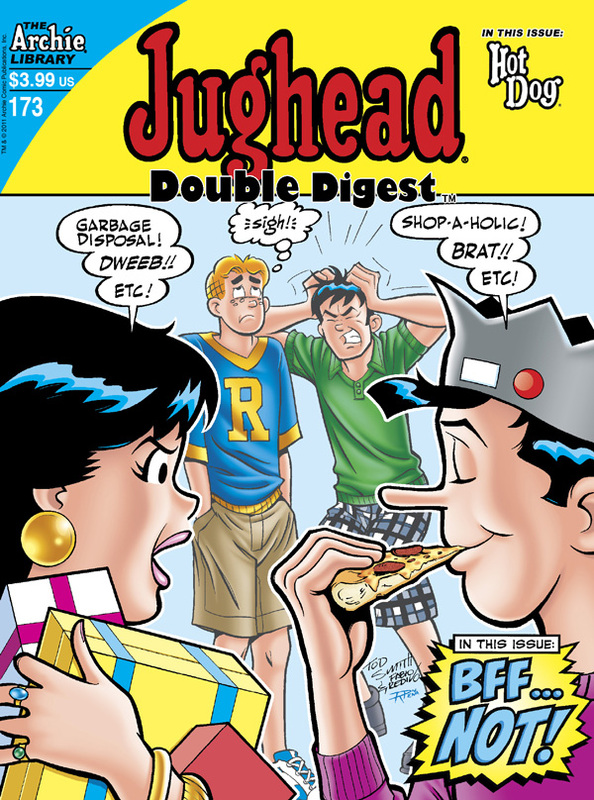 Archie Comics sent Major Spoilers a sneak peek of Jughead Double Digest #173 that arrives in shops today. 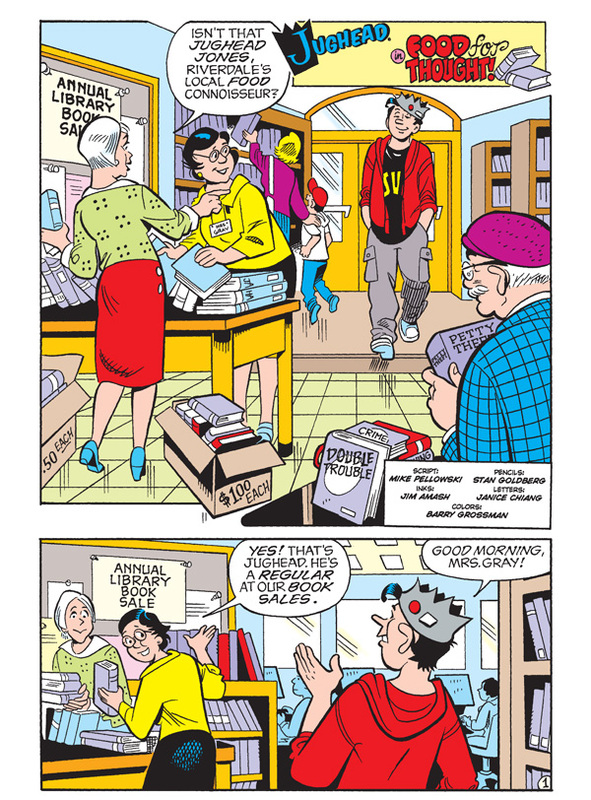 Jughead and Veronica are at it again. 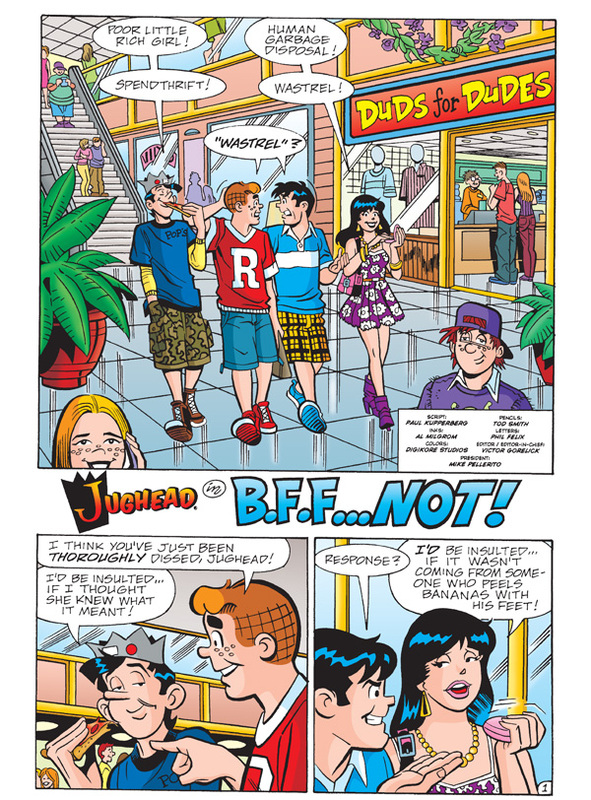 In “BFFs…NOT,” they learn that the most turbulent friendships can find a common ground – even if it’s by insulting each other. 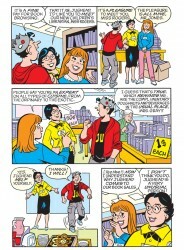 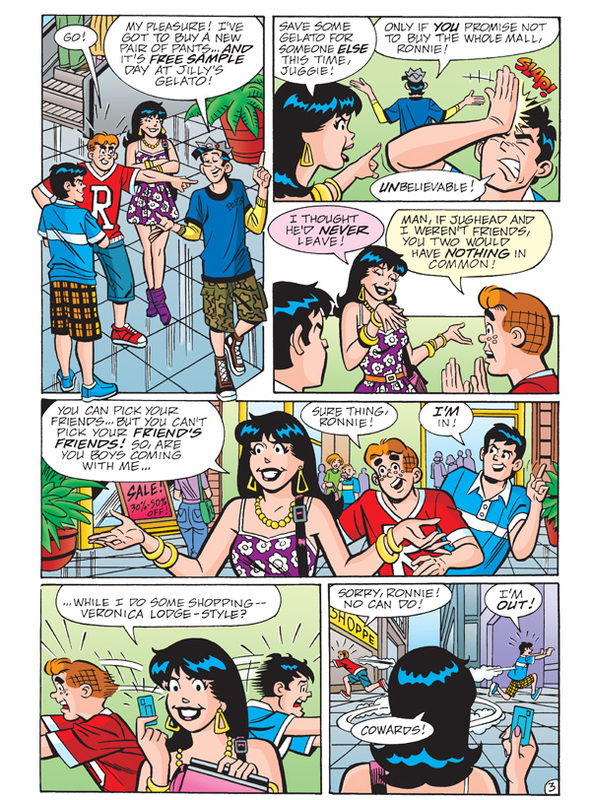 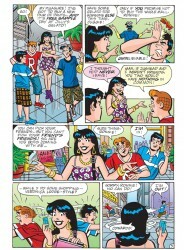 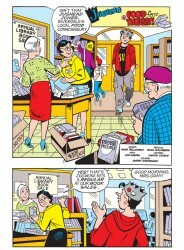 In “Food for Thought,” Jughead tries to decide what he wants to do for a career. 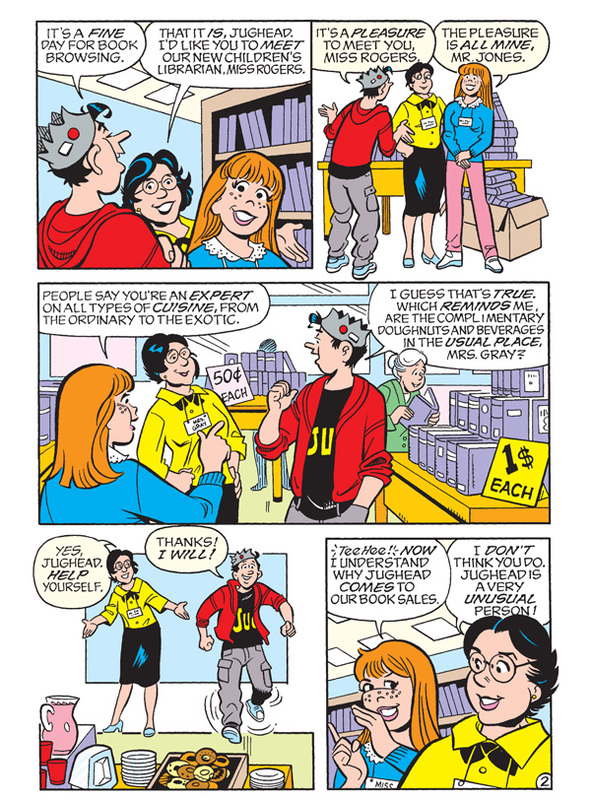 How does his decision bring together two business rivals?